Russia has carried out “unguided” bombing in Syria that has led to the deaths of civilians, Defence Secretary Michael Fallon has said. He told the Sun intelligence suggested Moscow had mostly been targeting forces fighting President Bashar al-Assad rather than Islamic State militants. 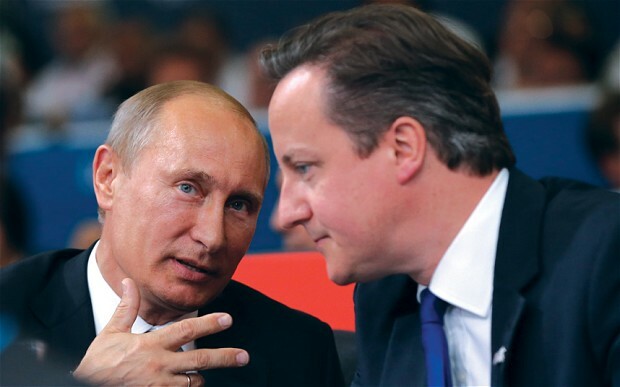 Russia’s involvement would not prevent the UK from making a case for RAF strikes against IS in Syria, he added. Russia said its aircraft had hit IS command centres and arms depots. US President Barack Obama has said Russia’s strikes – which began on Wednesday – are “only strengthening” the IS position. “Our evidence indicates they are dropping unguided munitions in civilian areas, killing civilians, and they are dropping them against the Free Syrian forces fighting Assad. He’s shoring up Assad and perpetuating the suffering.”Mr Fallon said Russian President Vladimir Putin’s decision to become involved “has complicated the situation” but it would be “morally wrong” for the UK not to target IS in Syria, as well as Iraq. “We can’t leave it to French, Australian and American aircraft to keep our own British streets safe,” he said. Russia’s targets included the IS stronghold of Raqqa, but also Aleppo, Hama and Idlib – provinces with little IS presence. President Obama has said the Russian bombing campaign is driving moderate opposition underground. He also rejected the Russian assertion that all armed opponents of the “brutal” Mr Assad were terrorists. But Russian President Vladimir Putin has argued in recent weeks that his country’s operation in Syria is designed to prevent the type of state implosion that took place in Libya after Nato’s intervention there in 2011. Russia rather conveniently for Bashar is attacking the Mujahideen who are fighting his regime. The West for all their insipid protests against Russia, and the considerable capability to do war, have still not been able to unseat Bashar’s dictator regime. Whilst the West accuse each other of deceit, the reality is it is the Muslims whose blood they spill. They are there for their own geo-political objectives and benefit. They want to be sure, their influence continues, once the war settles. Their care is not for the Muslims, nor do they love Islam. The Islamic Ummah cannot rely on the enemies of Allah سبحانه وتعالى and Rasulullah ﷺ to protect us, to look after our interests. It would be akin to expecting a thief not to steal, fire not to burn, Kufr to stand for truth. It is impossible. Islam is our salvation, Rasulullah ﷺ has conveyed to us the complete Deen and he ﷺ implemented it and showed us how to carry it. We must return to implementing the whole of Islam, the way Rasulullah ﷺ and the Khulafaa’ al-Rashidin implemented it.